Tools of the trade. 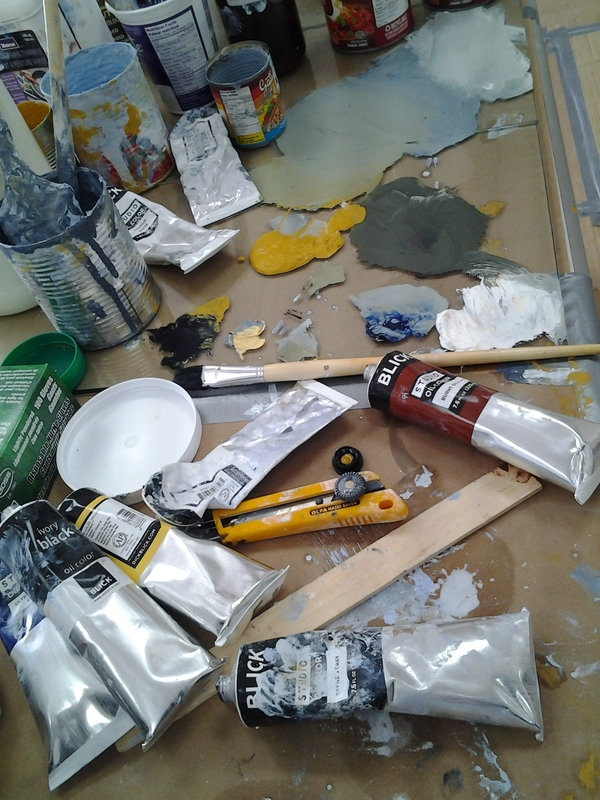 Fogo Island Painting Project is underway. For a small island off the North Atlantic, Fogo Island is abundantly wealthy in art and culture. The place is a muse for the many creative people who come to visit or work. The works created here tend to be specific to the place but also worldly enough to travel and show anywhere. I first became aware of M’Liz Keefe’s paintings on Facebook posts by mutual friends from Fogo Island. 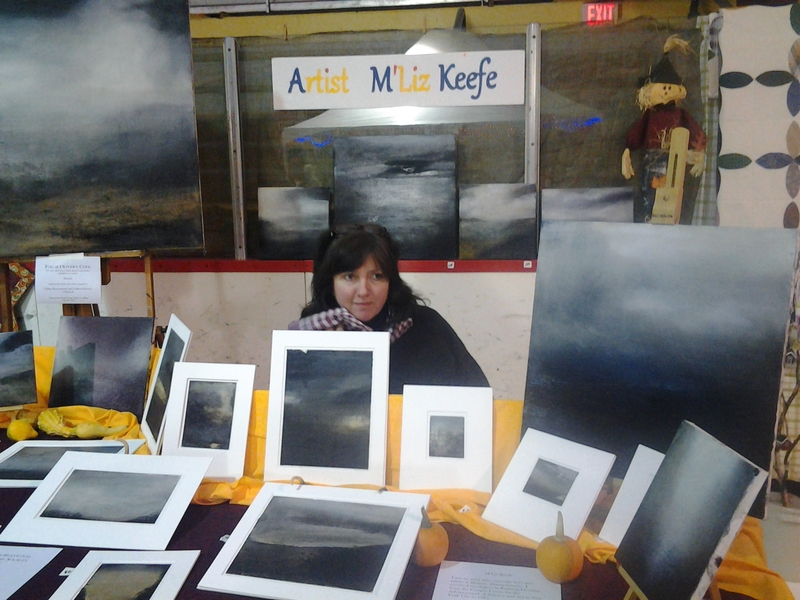 We eventually met in October 2013 at her booth at the Fogo Island Partridgeberry Harvest Festival where I was surprised to realize that all works on her display are original works. No prints or reproductions are done. Painting on a variety of materials including wood, canvas and paper with a mixture of oil paints and even ashes from Paddy Barry’s wood stove M’Liz paints landscapes reflecting the beauty and drama around her. Booth at the Fogo Island Partridgeberry Harvest Festival, Thanksgiving, 2013. Availing of an Artist Residency Program at the Jennifer Keefe studio in Tilting, she had spent 3 months creating works on Fogo Island. So taken with the place, she returned from Jamaica Plain in Boston, Massachusetts the following year to rent a house and spend another completely different season on Fogo Island: winter. Jan. 26, 2013. 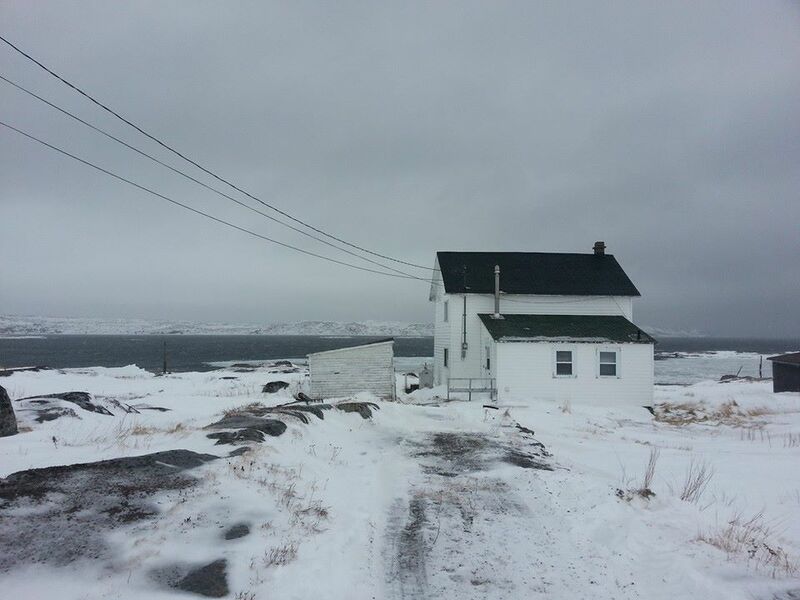 M”Liz shared a photo of her home and studio in Shoal Bay, Fogo Island. She settled this time in the community of Shoal Bay. More than once she posted Facebook messages requesting help digging out a door to enter or exit her house and she did run out of white paint while representing the marvel that was the winter and spring of 2014. 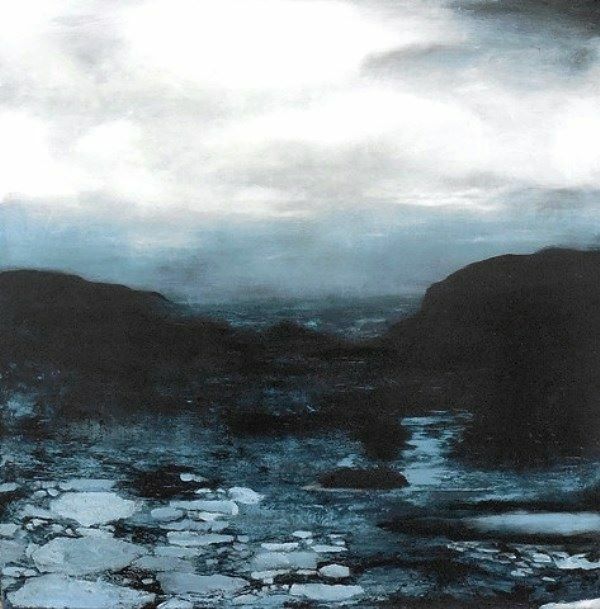 Ice on the Atlantic, M’Liz Keefe’s art imitates life on Fogo Island. 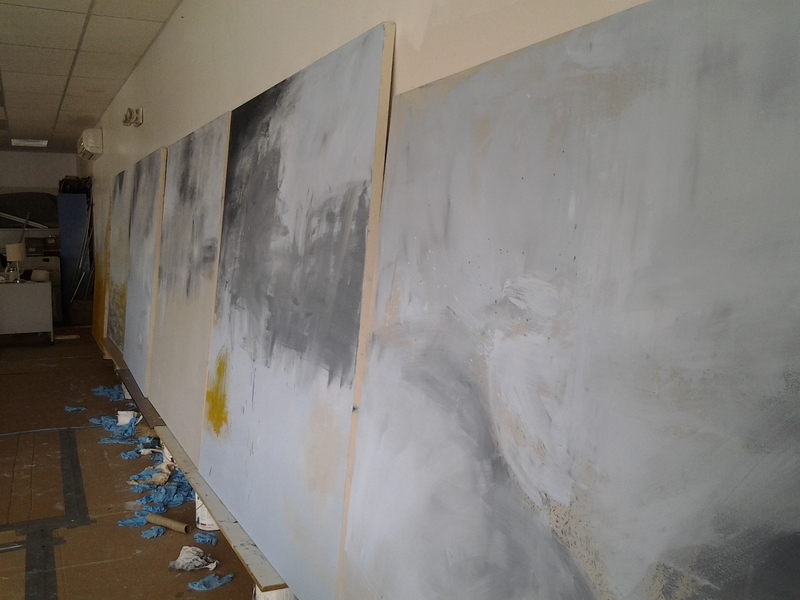 Now, July 2015, she’s back again and has set up residency and a studio in the community of Fogo. A renovation of the former pharmacy building has her with a great gallery space to feature her own work and the work of others. She’s also working in a large studio space and has begun The Fogo Island Painting Project after a successful Indiegogo funding request. In addition to the large works in progress, M’Liz has a variety of original paintings in all sizes on display and for sale in the former pharmacy building in Fogo. 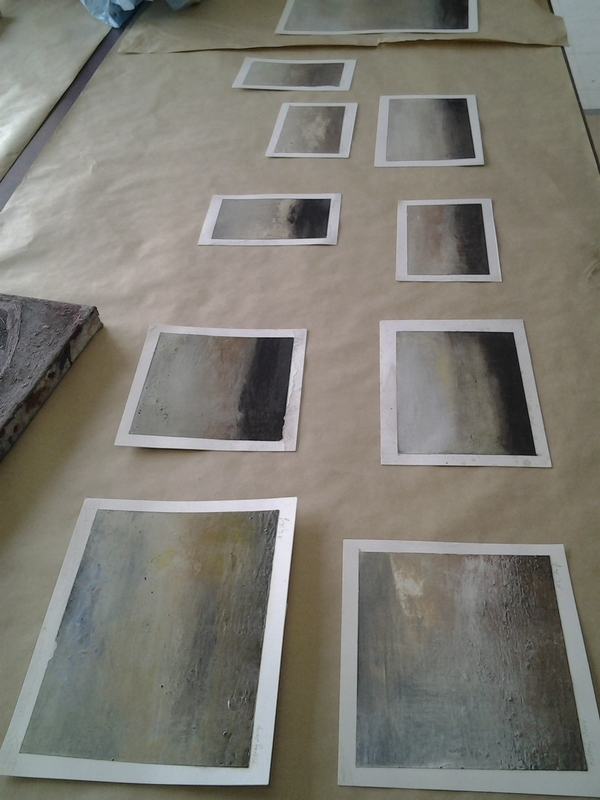 I look forward to watching these canvasses transform over the next weeks and months as Fogo Island works its magic on another artist. Early days of the Fogo Island Painting Project, a 6 x 6 foot painting of each of the communities on Fogo Island. wow! I am so happy to come across this site. Great to see what you have been doing M’Liz.